2019 the 5th International Conference on Communication and Information Processing has the goal to be an annual conference for researchers, academicians and industry persons in the field of Computer Science.It will be organized	in Chongqing, China during November 15-17, 2019. We hope that this conference will attract a large number of delegates from all over the world and will consist of very high quality technical sessions. It's sponsored by Chongqing University of Posts and Telecommunications, and Chongqing Institute of Electronics. - 由重庆邮电大学和重庆电子学会支持， 2019年第五届通信和信息处理国际会议 将在 中国·重庆 举行， 会期是2019年11月15-17日， 为期三天。我们非常感谢大家在这些年对ICCIP的持续关注与支持！在此我们向您发出诚挚的邀请! 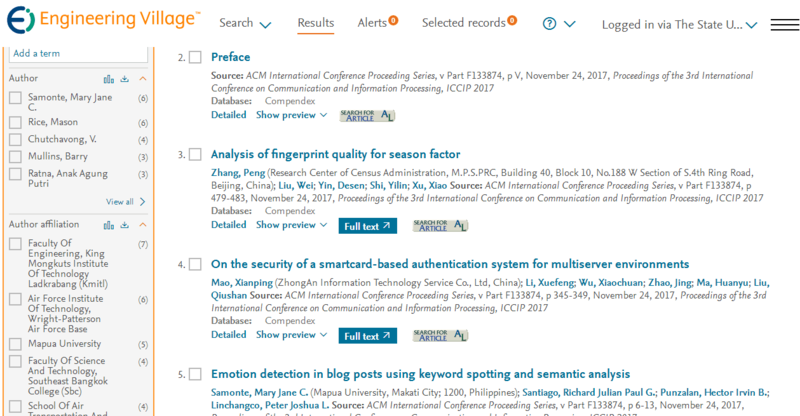 The accepted paper of ICCIP 2019 will be published into ICCIP 2019 Conference Proceedings, which will be published in the International Conference Proceedings Series and archived in the Online Digital Library. 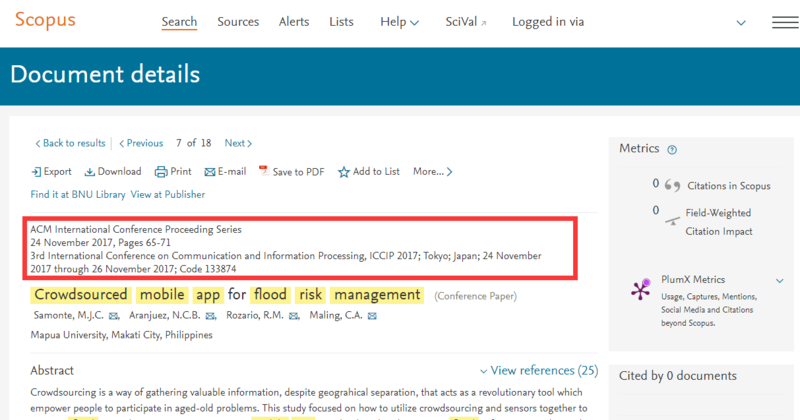 The paper will be indexed by Ei Compendex and Scopus.